Last week, we had a Hopefully Helpful Hint for the Windows 8 users and this week, we’re going to step it up for the Macfolk. OS X 10.8, also known as Mountain Lion, incorporates a number of programs and features that are also in Apple’s iOS system for its mobile devices. These programs include Notes, Reminders, the Calendar and Contacts, all of which can be linked together through Apple’s iCloud service so your Mac, your iPad, your iPhone and your iPod Touch all have the same information – in theory. To see the Notifications on your Mac, click the icon in the top right corner of the menu bar; it sort of looks like a pictograph of a bullet list. A panel slides out from the right side of the screen to reveal your notifications. If you’re using a Mac laptop with the multitouch trackpad, you can also see the Notification Center by swiping two fingers across from the right edge of the trackpad. Click the x icon to clear old notifications from the list. 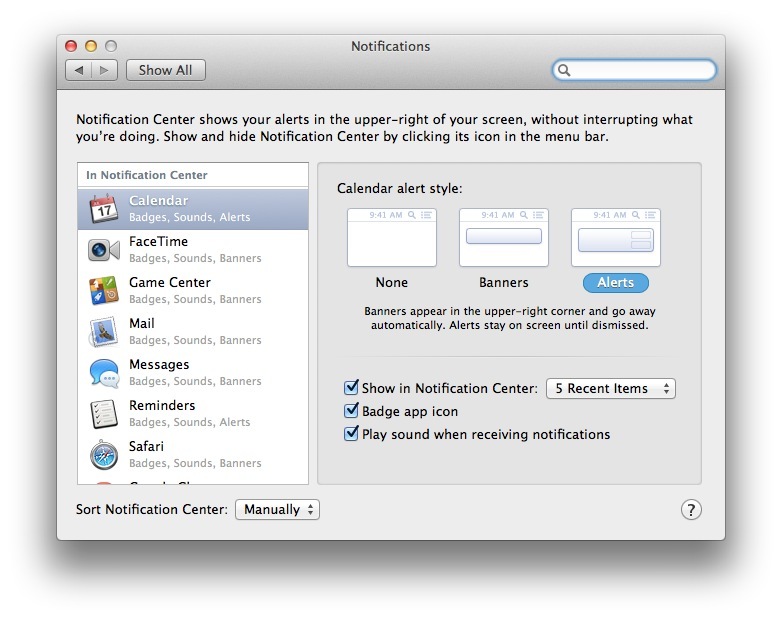 You can configure which apps notify you and how they get your attention in the System Preferences area of the Mac. You can choose to be pestered by onscreen red-circle number badges on dock icons, by banners that slide down from the top of the screen and then go away, or by alerts that won’t leave until you make them. In the Notifications preferences box, you can also choose to add sound to your alerts if you want the Mac to give you an audio cue with a notification. If you work in an open-plan cube farm, however, your co-workers may kill you unless you wear headphones all day. Then again, wearing headphones in an open-plan cube farm is the only way some people can get any work done without killing their co-workers, so a total win-win could be on the books here.